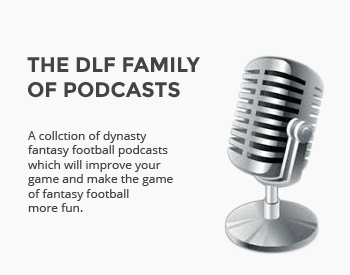 We’re at the halfway point of the fantasy football regular season and it is more important to stay on top of all the non-stop news in the NFL. Here’s what you need to know for week seven of the 2016 season. The Washington Redskins have placed rookie receiver Josh Doctson on the injured reserve list. Doctson is still dealing with the Achilles injury that plagued him for most of the off-season. While he was able to make some appearances in games earlier this season, the injured clearly continued to plague the Redskins first rounder. 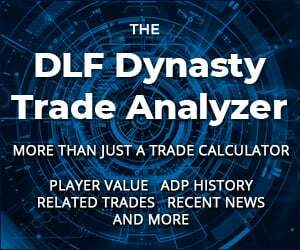 Doctson’s dynasty value is fading after giving his owners almost nothing this season, but he should still carry top 50 overall value through the off-season. In the opening game of week seven, the Bears and specifically rookie running back Jordan Howard struggled. Howard played well initially after replacing Jeremy Langford as the starter, but has slowed in the past two games, surrendering touches to Ka’Deem Carey. With Langford likely back on the field in the coming weeks, Howard’s value is up in the air. Carey is worthy of a look for dynasty owners going forward. After suffering an ankle injury, the Packers placed running back Eddie Lacy on the injured reserve list, all but ending his season. Green Bay left a window for Lacy’s return, but considering they can only reactivate one player from the injured reserve list and they’d like that to be defender Sam Shields, Lacy’s time with the Pack could be drawing to an end. Lacy will enter free agency this off-season and it is hard to imagine the Packers being very interested in re-signing the heavy runner. Lacy;s dynasty value is at an all-time low and makes a good, cheap target if he can be acquired for a second round rookie pick, or later. In light of Lacy’s injury, the Packers were forced to make some moves to strengthen their running back depth chart. They began by making a rare trade, acquiring Knile Davis from Kansas City for a conditional late round pick. Davis had some success and dynasty value early in his career, but failed to impress or maintain a role for the Chiefs. He’ll certainly have the opportunity with the Packers in the coming weeks, but his Green Bay career began with just two carries for one yard. Along with the trade for Davis, the Packers also promoted undrafted rookie Don Jackson from the practice squad. Jackson suffered an injury early in the game and was unable to return. Veteran James Starks in also due back in the coming month and could lead the team down the stretch. The Packers final option at the running back position is to give carries to wideouts Ty Montgomery and Randall Cobb. Over the past two weeks, Montgomery caught ten passes in each contest after failing to record a reception in the first four games. With Cobb, Jordy Nelson and the emerging Davante Adams, their won’t always be enough balls to go around, but Montgomery certainly looks like a fantasy asset for the next few weeks, at a minimum. Veteran quarterback Brian Hoyer was on a hot streak, throwing for over 300 yards in the past four games, entering week seven. Unfortunately, that streak came to a close due to an injury early in the game. Hoyer left the game after suffering an arm injury and was quickly ruled out for the remainder of the game. We later learned the specific injury was a broken bone in the forearm. Hoyer was all but assured of remaining the Bears starter even after Jay Cutler returns to health, but this changes things for Chicago. Until Cutler is back in action, the Bears will have to go with Matt Barkley or any other veteran they can find on the street. None of the options, including Hoyer and Cutler, have any dynasty value outside of 2QB leagues as Chicago is certain to be looking for a new starter this off-season. After the continued dismal play of quarterback Ryan Fitzpatrick, the Jets and head coach Todd Bowles has decided to promote Geno Smith to the starting role. Fitzpatrick struggled once again in last week’s game against the Cardinals and was replaced late in the game by Smith, who didn’t fare much better. Neither player should be a fantasy option and both players are unlikely to return to the team in 2017. Young quarterbacks Bryce Petty and even Christian Hackenberg could get a look before the season ends. In week six, Steelers quarterback Ben Roethlisberger suffered a knee injury that could keep him out of action for up to six weeks. This is becoming an annual occurrence for Big Ben and the Steelers. His absence will have an impact on the entire Pittsburgh offense, including receiver Antonio Brown. In games played without Roethlisberger over the past six seasons, Brown is averaging nearly ten less fantasy points per game, while his yardage numbers are almost cut in half. On the other hand, running back Le’Veon Bell actually see his rushing production increase without his quarterback. The Tampa Bay Buccaneers have lost veteran wide receiver Vincent Jackson for the remainder of the year after he suffered a torn ACL. Jackson will be a free agent following the season and has not looked like the receiver he once was through the early part of the season. Not only is his Tampa Bay career likely over, but he may not get any looks at all on the free agent market this off-season. He’s a safe drop in all but the deepest dynasty leagues. The New York Jets finally gave up hope and placed veteran receiver Eric Decker on the injured reserve list with a shoulder injury. If you’ve been following this story, this move was no surprise. What did come as a shock to dynasty owners was the revelation that Decker also required his surgery, which will greatly increase his overall recovery time. Decker is in danger of missing the start of the 2017 season as he will need to wait for shoulder surgery until he’s fully recovered from the hip surgery he underwent earlier this week. Decker is definitely still worthy of a roster spot, and maybe even can be considered a buy low target.